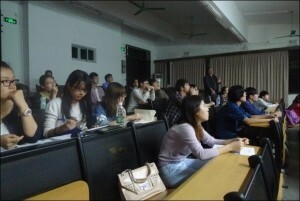 Seminar of the 5th Aalborg Portland Architecture Design Contest was launched - 新闻列表 - 阿尔博波特兰（安庆）有限公司论坛 - Powered by Discuz! 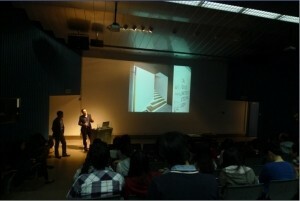 Seminar of the 2014 5th Aalborg Portland Architecture Design Contest was successfully launched in April. 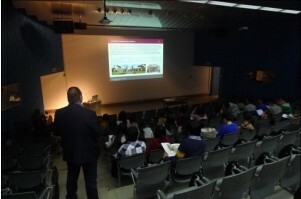 The seminar took place at the Nanjing Southeast University, Shanghai Tongji University, Tianjin University and South China University of Technology Guangzhou. 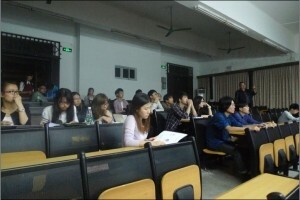 At the seminar, we introduced white cement application and contest rules and awards, some videos to show our sponsor Kokaistudio's history and an internship life from 1st place student in 2011. Aalborg Portland (Anqing) Co., Ltd. (APAQ) and Kokaistudios (KS) are contest organizers and sponsors. 1st place will acquire 4 months internship at Kokaistudios in Shanghai that comes with a monthly allowance for total of 27,000 RMB, after internship a fully paid flight in Economy Class to Italy with 5,000 RMB cash allowance for an Italian cultural and architectural experience. Other winners will be given an award. This contest is supported by Kokaistudios and DCCC. GMT+8, 2019-4-22 16:04 , Processed in 0.038840 second(s), 15 queries .